Haslam IT is located in Worcester, UK. It was set specifically to help smaller companies and individuals with IT problems that are located in the local area. Smaller companies often have limited resources and limited budgets but can still benefit greatly by having efficient IT systems and access to reliable IT support at a fair and reasonable price. We will take the time to get to know a customer's unique requirements and provide services tailored to their specific needs. You can be sure you will get the help you need, when you need it. Our mission is to provide first class support and customer service. We aim to take the stress out of IT. Whether you need repair services, general help and advice or are looking for custom-built database applications, we have the knowledge and skill to satisfy your needs. We always aim for 100% customer satisfaction and don't just look to meet out customer's expectations but aim to exceed them, but don't just take our word for that - see our five star reviews on Truspilot. Whatever the size of your business, talk to us to see how we can help. 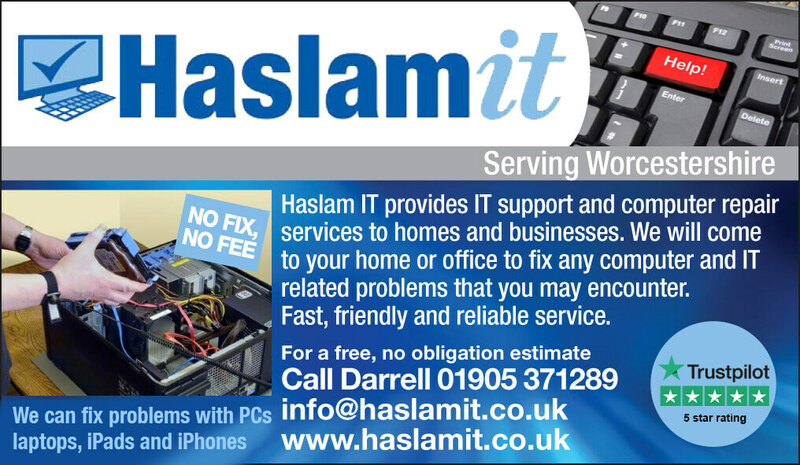 Darrell Haslam has worked in the IT industry for over 25 years. 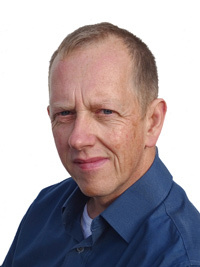 He is MCSE qualified and has worked with Windows products for most of this time, but also has experience with Apple products and a number of different platforms. He has a methodical approach to problem solving and always enjoys a challenge. We cover an area within a 25 miles radius of Worcester as highlighted in the map above. We provide free call outs within 10 miles of Worcester as shown by the inner circle. A £10 callout fee is charged for areas in the outer circle. We can provide remote support to areas outside the indicated area and carry out repairs via a courier service but callouts of more than 25 miles away are only made by special arrangement and a callout fee will be agreed beforehand. 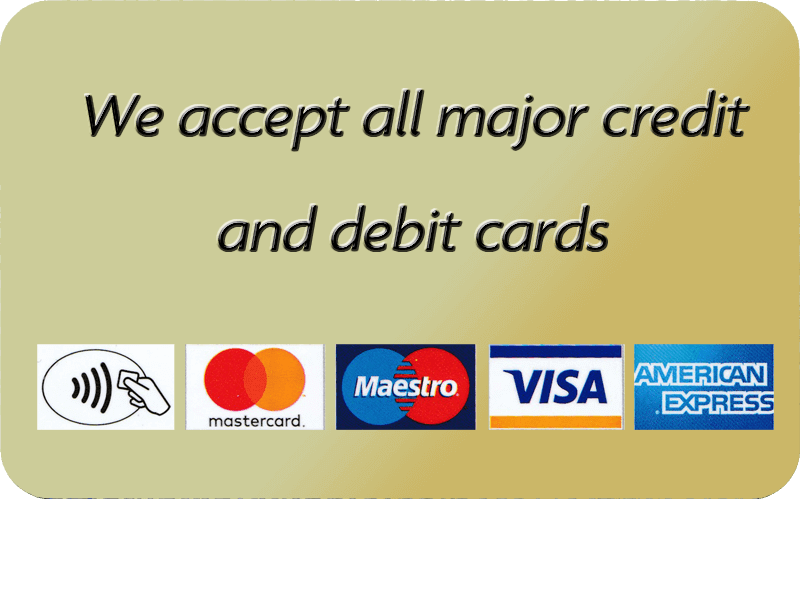 We accept all major forms of payment including cash, cheques, BACs transfer, PayPal, Credit and Debit cards. Darrel was brilliant. He came round straightaway and helped me get on top of an IT crisis when the motherboard on my old Mac failed. All data recovered and up and running within 24 hours. He also cleaned up my PC and made sure everything working . It’s a huge relief to find someone like this when you’re self employed and need IT help. A very quick and efficient service and got the problem resolved on the same day. Would highly recommend. We had two laptops, each with a broken screen. Darrell got us back up and running very quickly and the cost was extremely reasonable too. Thank you very much, definitely five star service! Very efficient service and value for money. Darrell responds quickly and explains everything he has completed. Would highly recommend Haslam IT.